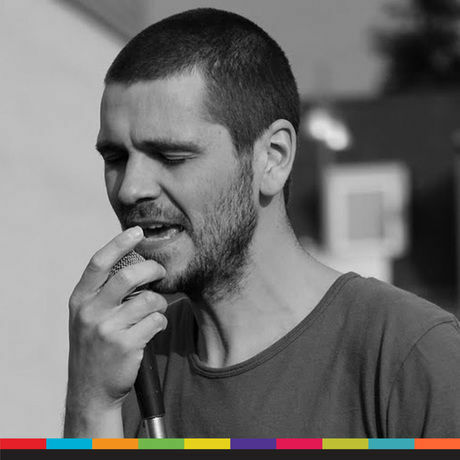 We’re very curious to listen to Louis Vanhaverbeke, one of the artists in residence of Beursschouwburg, our partner and venue. He has a keen interest in the clash of lifestyles and subcultures. As a teenager he switched back and forth between rapper attitude and wannabe rock star. By remixing different ambitions, he developed a very particular vocabulary: freestyle, hard to classify, but very intelligible.